Reach into dark and hard-to-reach spaces using General Tools’ 36-Inch Lighted Pick-Up Tool. The flexible shaft bends and reaches into cramped areas such as under the couch, behind the dryer, in the attic and into the sink drain. 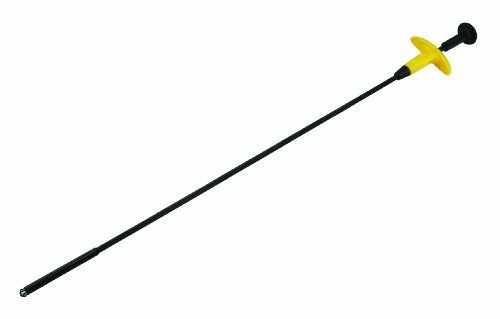 The 36-Inch shaft allows for additional flexibility and reach for retrieving even the most out-of-reach items. Don’t fumble in the dimly lit spaces - the powerful LED light will brighten even the darkest corner. Simply press the handle control of the pick up tool to turn on the light, then continue to press to activate the 4-pronged steel reacher claw. Pick up items such as keys, rings, socks, screws and more without any added headache or effort - this tool is essential for every workspace and home.